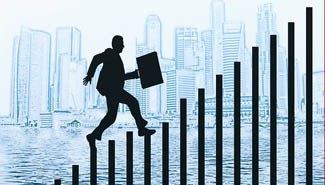 No matter what stage you’re at in your career, the experts at W.P. Consulting & Associates are here to help. Whether you’re just starting out or you’re looking for a change in direction, our services will help you to examine your interests, skills, values, and personality and to investigate occupations that are most likely to be a good fit for you. As a Lumina Global Learning Partner, we use a unique psychometric tool to help you understand yourself and your work persona. Download a LuminaSpark fact sheet to learn more about this process. Branding isn’t just for companies any more! We can help you identify what makes you unique from others who may be applying for the same positions and create your own personal brand. A strong brand and value proposition will give you a distinctive advantage over the competition. If you haven’t been on a job interview lately, you might be surprised to learn how much things have changed. As a Master Certified Interview Strategist, Wayne Pagani can bring you up to speed on the latest trends in interview strategy and help you make the best impression possible when meeting with recruiters and potential employers. Have you been told that networking will help you find a new job? Although it’s true that networking is an excellent way to learn about unadvertised openings, if you only network when you need something, you’re unlikely to get results. We can help you to develop a networking strategy to help you grow professionally and gain visibility in your industry, regardless of your current employment situation. We can help you find important facts about occupations, skill and/or labour shortages and surpluses, unemployment statistics, salary ranges, and other data that will guide you towards informed career decisions. These days, retirement doesn’t always mean the end of your working career. We can help you navigate the retirement process and enjoy the lifestyle you deserve, whether you choose a second career, self-employment, part-time work, or a life of leisure! If you’re considering a franchise, home-based business, or multiple career models, we can help you explore your options and make a decision that’s right for you.